Narasimha Swamiji searched for his Sadguru, discovered him and then shared with us all the grace he received from his Sadguru. This is briefly the story of his life. Avatar Meher Baba knew best the value and the esoteric aspect of Sai Baba and four other perfect Masters working with him. The five perfect Masters of our age, according to Meher Baba are: Sai Baba, Upasini Maharaj, Hazrat Baba Jan, Tajuddin Baba and Bet Narayana Maharaj. Among these Sai Baba holds the highest place . Sai Baba is, along with the other perfect Masters even now directing the force of the Universe in the different spheres of life. Prof.C.G. Narke mentioned in his statement to Narasimha Swamiji that Sai Baba seemed to be working not only among us but also in other worlds unseen and unknown to us. So powerful is Sai Baba that no man could go to him unless was called. Sai Baba called Narasimha Swamiji and Swamiji responded to the call. Other devotees have written about Sai baba’s life and had sung his glories before and after the advent of Narasimha Swamiji, but none could do so much and accomplish so well, because Sai Baba willed and has chosen Narasimha Swamiji as an efficient instrument to work for him. Narasimha Swamiji returned to Madras in 1939 and his sole aim was to spread Sai movement all over the country. During 1936 to 1939, he had already traveled all over Maharashtra on lecture tours along with Das Ganu Maharaj, Justice Sri M.B.Rege and Justice Sri. P.R.Avasthi and had created a sensation among the public. Sai Baba’s name which was confined only to Shirdi and a few neighboring villages earlier had now become a household word in Maharashtra. 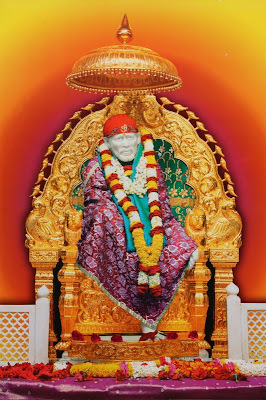 Thousands of people from nook and corners of Maharashra had already started visiting Shirdi. Narasimha Swamiji desired to take Sai Baba’s name all over India. Narasimha Swamiji found that Shirdi Samsthan of Sri Sai Baba had a ‘Bhakta Mandal’ (an association of Sai devotees) of which Sai devotee could become a member. But the Bhakta Mandal had no branch anywhere and it did not mean to open any. The only activity of the Bhakta Mandal was to send ‘udhi prasad’ three times in a year. Narasimha Swamiji therefore felt the need for forming an All India Sai Samaj with the object of disseminating the Sai movement in our country. 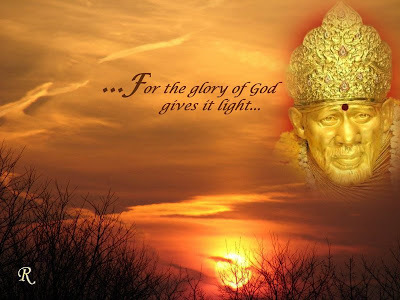 Accordingly, the first step he took, on returning to Madras in 1939 was to start the All India Sai Samaj having its office at Mylapore, Madras. The main objective of this Samaj was to create awareness among people about Sai Baba and lead them to spiritual glory. Narasimha Swamiji was absorbed at all times in thinking of and talking about Sai Baba alone and nothing else. His constant communion with Sai Baba, his private talks at group meetings and public lectures fostered his influence, and attracted a band of volunteers around him. Narasimha Swamiji’s first publication ‘Who is Sai Baba?’ came out in 1939. Priced at an anna per copy it proved popular. By producing a Tamil edition, Swamiji reached a wider public. In 1940 came ‘Wondrous Saint Sai Baba’ priced at six annas a copy. In this book he has given more details and interestingly the author shows how in previous incarnations help rendered was general and in ‘Sai incarnation’ the Lord’s grace was distributed individually and severally. Narasimha Swamiji also shows the steps by which Sai Baba helps in the evolution of devotees. ‘Wondrous Saint’ has since been translated into Telugu, Hindi, Bengali and Gujarathi. Narasimha Swamiji’s magna carta ‘The Charters and Sayings’ came out next with a foreword by Justice Sri M.B.Rege. It is an inspired work. 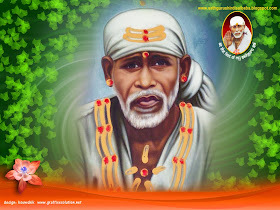 It combines the boons granted by Sai Baba to his devotees with Baba’s teachings and biography. It is made of short paragraphs under suitable headings. It is written in Biblical style. On account of the topical treatment followed by the author, the book may be opened at any page and read with pleasure. The index affords valuable assistance to volunteers in selecting topics on which to write or deliver public lectures. This has gone into several reprints and is now published as ‘Gospel of Sai Baba’ also in Tamil, Kannada, Telugu, Hindi and Malayalam. How much this book has helped in Sai movement may be seen from the following incident. ‘Charters and Sayings’ reached the reading public all over Madras presidency including Mysore, Travancore and other native states. Papaiah Chetty, a rich Zamindar of Nellore, was very much influenced by this book. He met Narasimha Swamiji at Shirdi on 23rd December 1940 and handed over to him a bundle containing Rs.11,455/-. He just told him that Sai Baba had instructed him to give this to Narasimha Swamiji, who would get further instructions from Sai Baba about its usage and left. Narasimha Swamiji who had renunciated property worth a million and become a mendicant hesitated for a minute. He composed himself and wrote on three slips to know Sai Baba’s mind on using this fund. 3. Hand over this amount to the Trustees of Shirdi Samsthan towards the Temple corpus fund. A child who came to the Samadhi Mandir was asked to pick up a slip. The baby picking up the slip at number one above saw Sai Baba’s will. Narasimha swamiji asked the Trustees of Shirdi Samsthan if they would keep the amount for using it on ‘Sai Prachar’ work. On their declining his offer Narasimha Swamiji brought the money to Madras. In January 1940 he started a monthly magazine ‘Sai Sudha’ with Tamil, Sanskrit and Telugu sections added to the main English section. S.R.Sampathkumaran was the first Editor till he passed away on 21st October 1943. Swami Sivananda and Sri Radhakrishna Swamiji edited the magazine in later years. Narasimha Swamiji published the “Devotees Experiences” in three parts in English and Tamil. By then the All India Sai Samaj was in dire need of an enthusiastic and young person to shoulder the executive responsibility of its activities. Narasimha Swamiji also needed a personal secretary to whom he can dictate so that more books on Sai Baba could be brought out. Sai Baba in his inimitable manner fulfilled these two needs. Sri O.K.Varada Rao, son-in-law of Justice Sri Somaiah of Madras High Court, was then an officer in the Bank of Baroda at Madras. This enthusiastic young man became the first Honorary Secretary of the All India Sai Samaj. His wife Smt. Sharada not only became an ‘Ankitha Puthri’(foster daughter) to Narasimha Swamiji but also served him as his Personal Secretary in taking down all his dictations, prepare manuscript, typing them, correct spelling mistakes, send them to the press, correcting the proofs and bring out the final version. The ‘Sharada touch’ can be seen in all the publications of Narasimha Swamiji. Apart from this she used to plan Swamiji’s travel programmes, lecture tours and other engagements. Smt. Sharada’s doubt was cleared at once. Since Sri O.K.Varada Rao was a Law graduate, under the guidance of Narasimha Swamiji, he prepared the articles and memorandum for the constitution of the All India Samaj. He also laid down the various policies and procedures for the day to day administration of the organization. He also actively took part in Sai Prachar work and was instrumental in several youngsters joining the All India Sai Samaj. Sri Varada Rao proudly used to recall how Narasimha Swamiji had erased his ‘self’ in all his activities. In all the books published by the All India Sai Samaj, Swamiji used the caption ‘no rights reserved’ so that anybody anywhere could use the contents freely and without any prior approval. Once it so happened that Sri Varada Rao with his legal background unknowingly had got the words ‘All rights reserved’ printed. Narasimha Swamiji did not like this and asked Sri Varada Rao to correct it to read as ‘No rights reserved’ before dispatching the books. Somehow due to work pressure he could not do it. In the evening when he came back to the Sai Samaj office, he was shocked to see Narasimha Swamiji himself incorporating the corrections! Sri Varada Rao used to recall this incident while paying glowing tributes to Narasimha Swamiji’s selflessness in all aspects. Cured By Udi-Experience by Sai Devotee Navdeep.